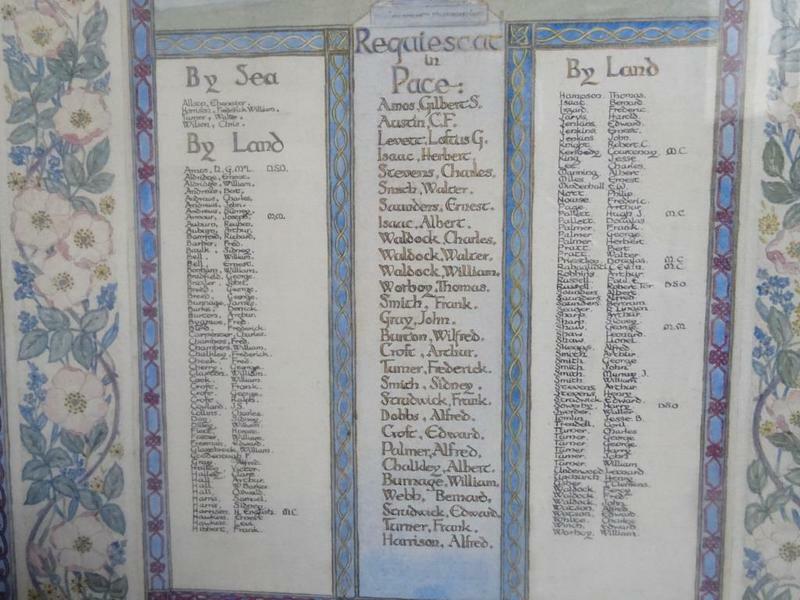 Rectangular framed and glazed roll of honour with a foliate border and a celtic cross drawn centrally above the names in three columns. 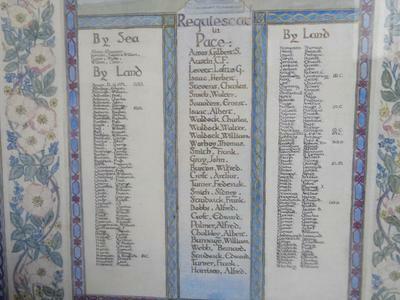 1914 1918/ BY SEA/ (Names)/ BY LAND/ (Names)/ REQUIESCAT IN PACE/ (Names)/ BY LAND/ (Names). Information shown: Forename, surname, decorations.